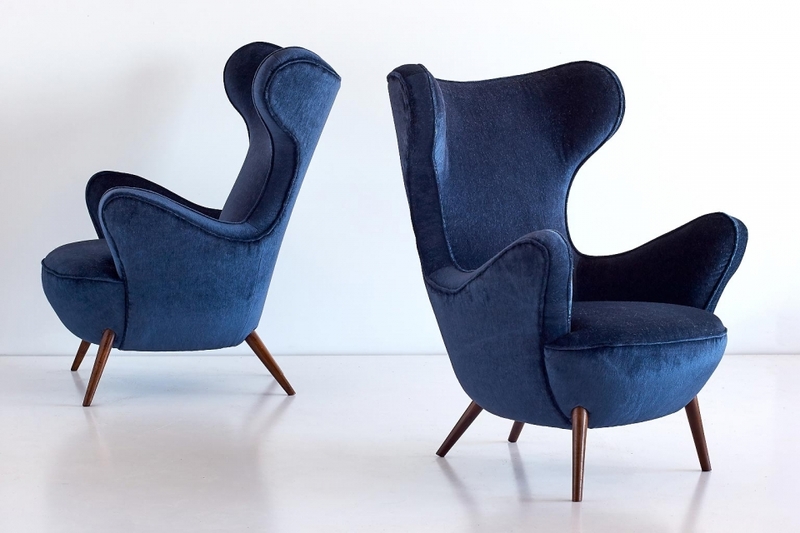 This rare pair of armchairs was designed by Paolo Malchiodi for a private residence near Florence in the late 1940s. Due to their sensual, organic curves and the strikingly positioned tapered legs the chairs evoke a sculptural and modern feel. Visually appealing from all sides, this elegant interpretation of the wingback chair could be ideal for central placement in an interior. 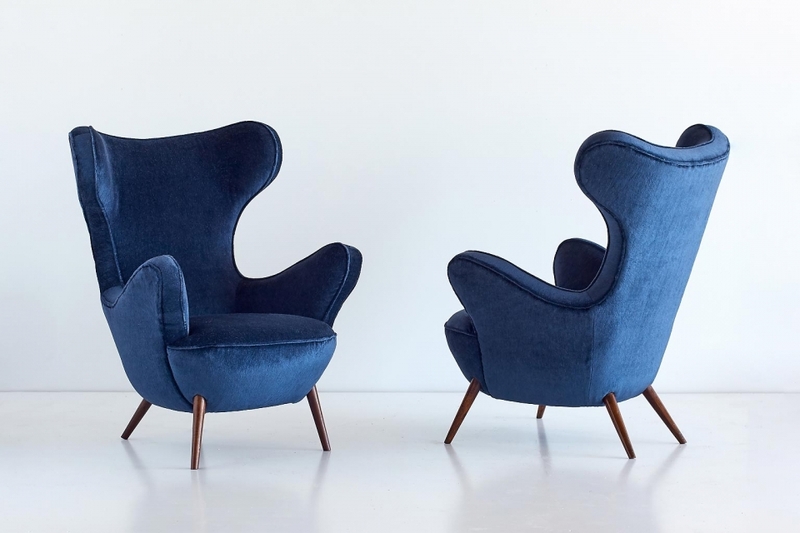 The sumptuous pair is in excellent condition and has been newly upholstered in a blue mohair velvet fabric. The walnut legs have been refinished. Paolo Malchiodi was an architect and designer based in Florence. Several articles in Domus (published in the 1930s-1950s) feature his work, where it was discussed and shown alongside the work of well known Italian and French contemporaries such as Gio Ponti, Jean Royère, Carlo Mollino and Paolo Buffa. The majority of his designs were hand-produced by local woodworkers and craftsmen in and around Florence. The chairs have been documented in the following literature (as pictured in the gallery above): Esempi di arredamento moderno by Roberto Aloi, ed. Ulrico Hoepli, Milan, figure 194.